We heading downstream on the River Nene, filming for a forthcoming DVD and checking the data for our River Nene maps. 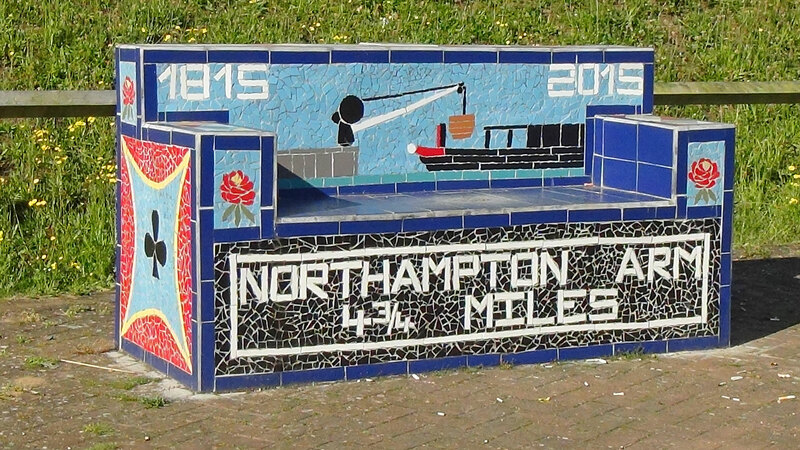 Unusual seat at the bottom of the Northampton Arm of the Grand Union Canal. After a couple of days rest in Northampton to polish the boat and top up supplies we’re heading downstream on the River Nene. Most of the locks have guillotine bottom gates, and all of those were power operated today. 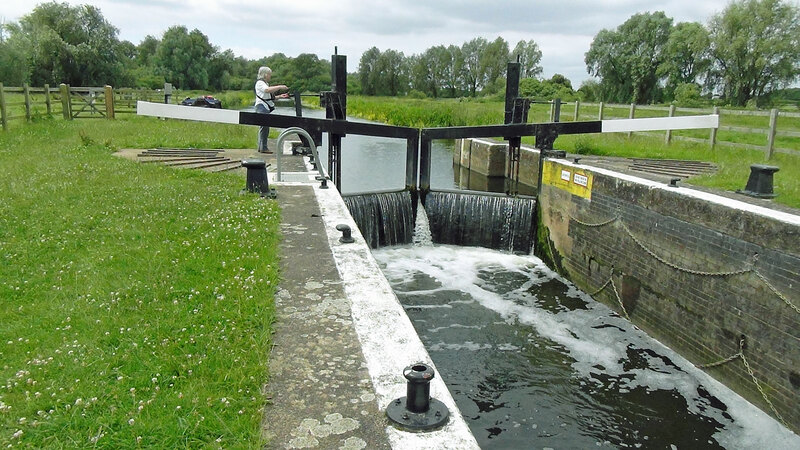 These locks must be left empty, with the bottom guillotine gate raised when boaters leave. That means we have to close the guillotine gate and fill the lock every time we arrive at one. Mitred Top Gates, often over-topped with the water. 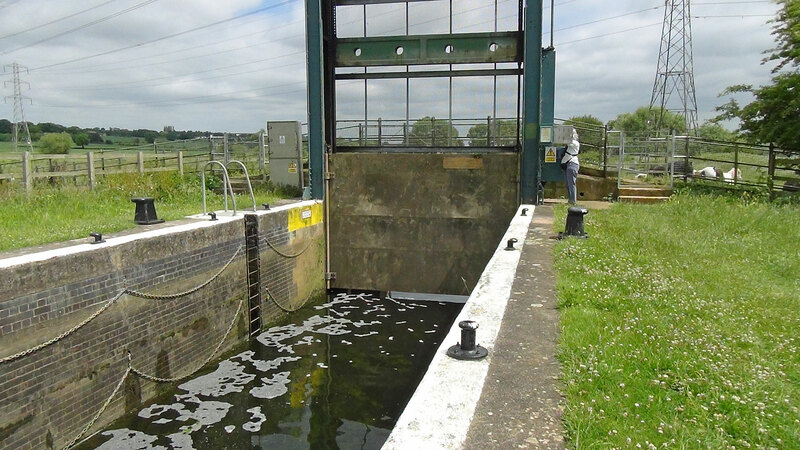 The locks have conventional mitred top gates and paddles which are manually operated. Many of them are over-topped with water flowing in which makes them slow to empty. 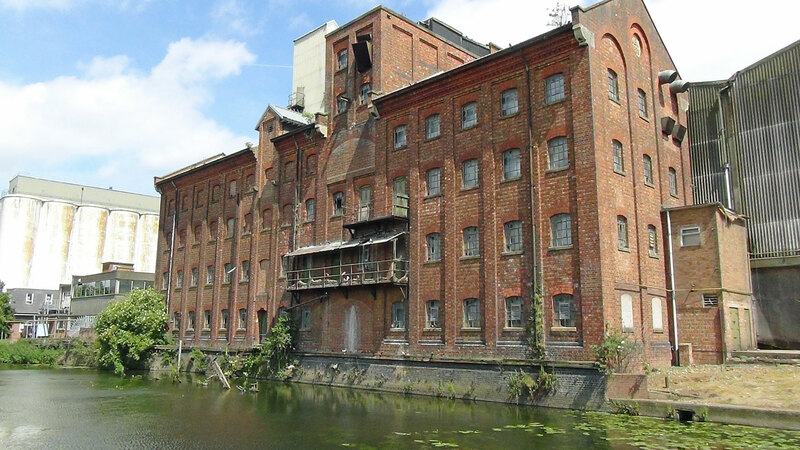 Old Waterside Warehouses in Wellingborough. We’ve made it to Wellingborough. The only other boat here was leaving just as we arrived and we’re on our own in a surprisingly quiet location. Tomorrow (Saturday), we’re aiming for Thrapston. I hope there’s room on the limited moorings there. Sunday should see us a little further downstream, perhaps Fotheringhay. Please give us a big wave if you see us passing – you might even appear in the River Nene DVD.